Clay tiles show up mostly in homes with Italian and Spanish architecture, but the roofs of the modern buildings are also finished with this material. There is a big diversification of colors, styles, and types in clay roofing tiles. The material has many advantages over other finishes. Clay tiles are very durable having a long lifespan, and they will never rot, or contract like metals, and cannot be affected by insects. Clay roof tiles are easy to maintain. As any damaged tile can replaced easily, they are easily available in the market. A large range of brands is there in the market, thereby giving you the flexibility of the choice. Weight of clay tiles sometimes makes roof very heavy for the structure below, which may result in more reinforcements in the roof area. Color clay roof tiles fades away after some time because of poor manufacturing, as the color is only added to the tile surface. Low quality tiles can break with even smallest load. 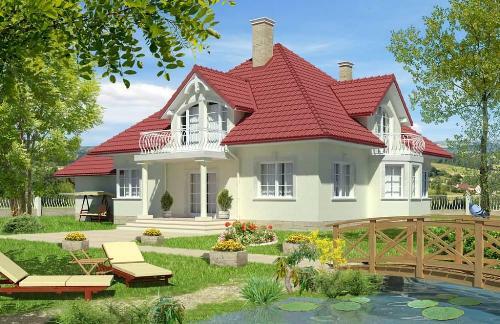 Installation of clay roof tiles is more complex than other roofing materials, thus demanding more time. High quality tiles are expensive than other roofing types. It includes, smooth surface tiles and textured tiles, they are also categorized as barrel and style tiles. The natural color of clay is white, yellow, and orange, and the most used color for roofing is in orange tone, i.e. terra cotta. But, these colors can vary depending on the manufacturing quality and process. Whereas, when clay is converted into ceramic tiles, you can find a huge color variation. 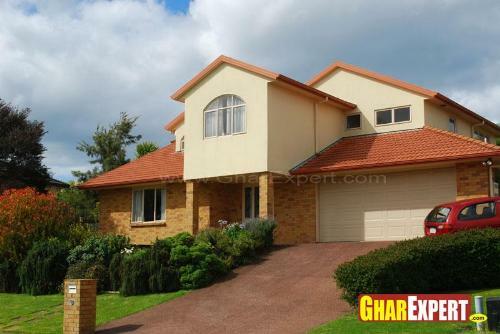 Cost: The cost of clay tiles varies according to the type, and it ranges from $20 to $50. Life span: It can be up to 50 to 75 years but this also depends on various conditions including weather, structure age, material quality, installation and how tiles are maintained throughout this time. Clay roof tiles need certain accessories, as eave closures, ridge ends, apexes with 3 or 4 ways, top fixtures etc. Moreover, these accessories are an option, but they add beauty to a roof and are helpful in many things. A proper finish is obtained with a ridge end, whereas a closure prevents it from other intrusions, whereas eave closures act as a barrier other than just functioning as a raiser for the tiles’ first line.